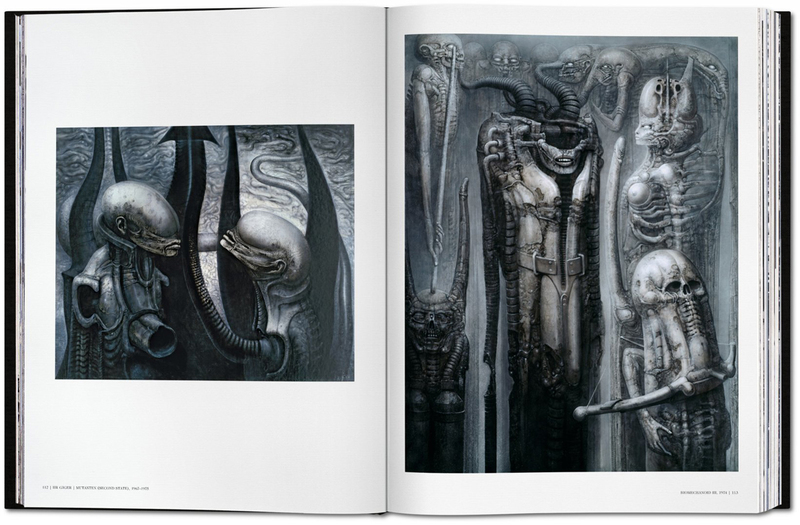 Taschen’s forthcoming behemoth of a book on Swiss artist, illustrator and infamous alien-designer HR Giger is published next month. 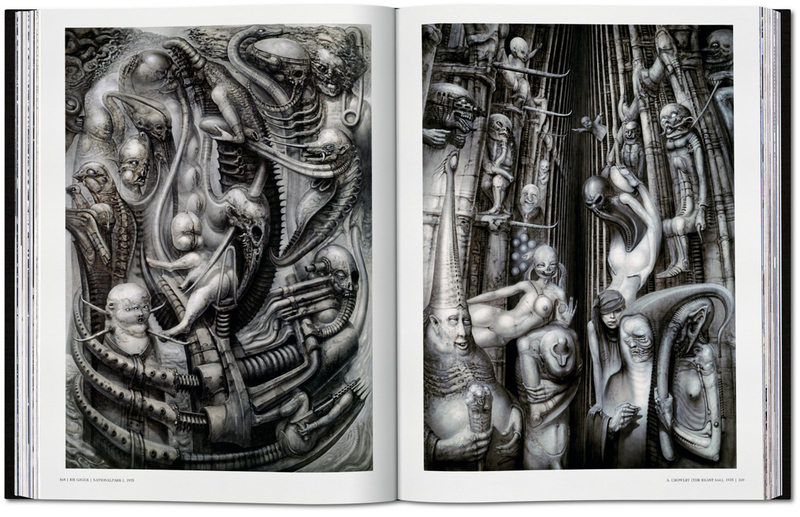 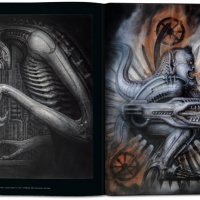 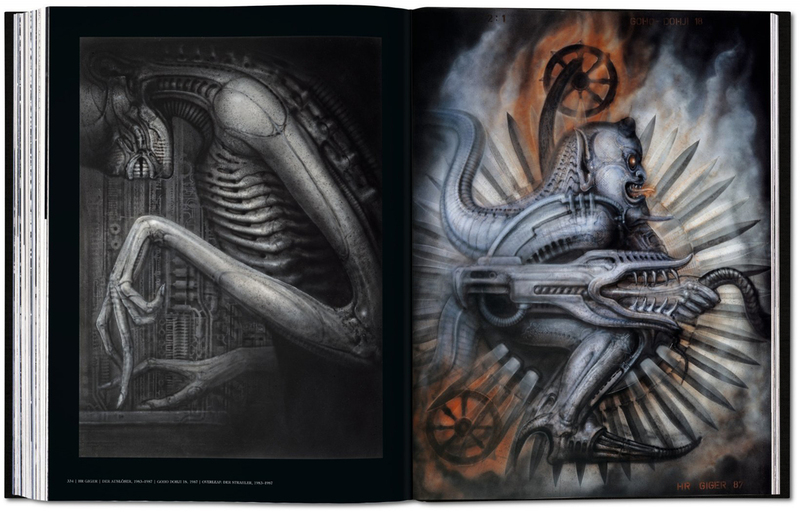 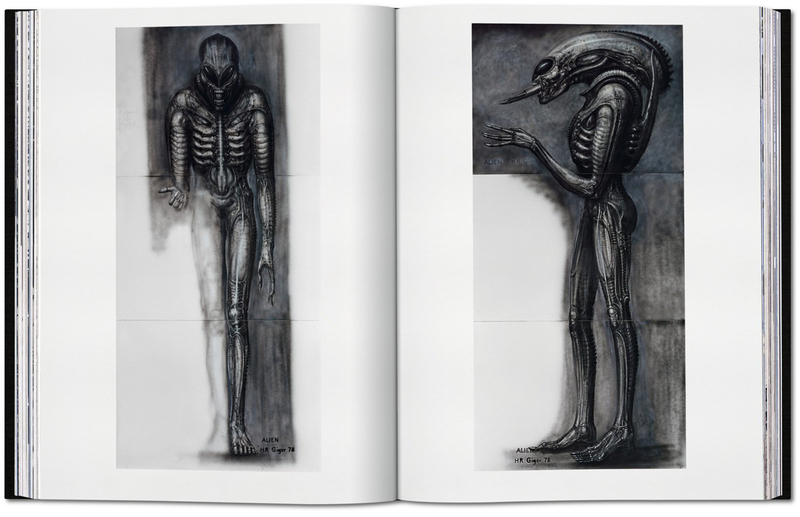 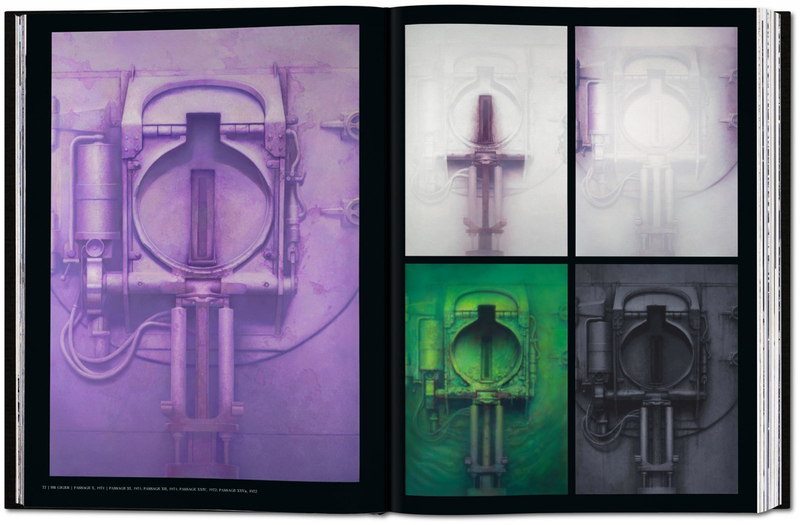 As a large-scale tribute to Giger’s dark surrealism, it comes in at a size and price tag (36.7 x 50 cm; £650) akin to 1999’s Sumo book on the work of photographer Helmut Newton – which was so big it came with its own stand. 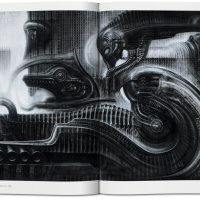 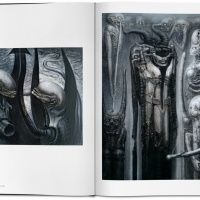 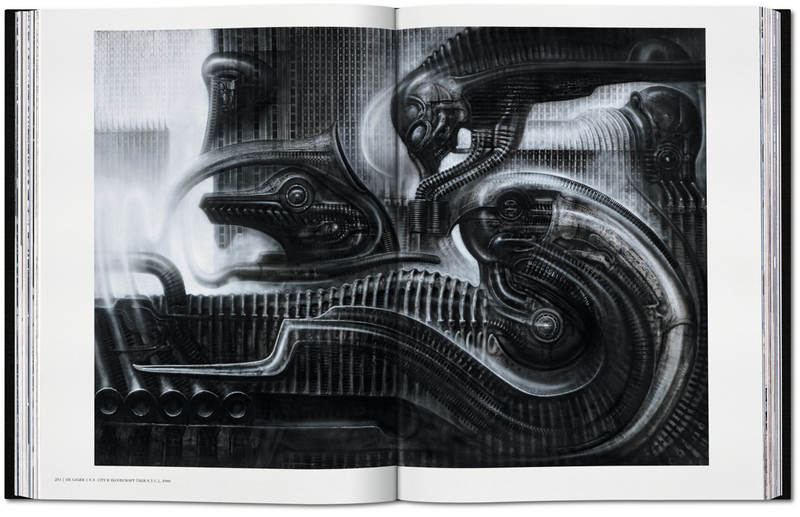 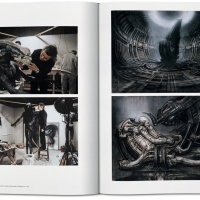 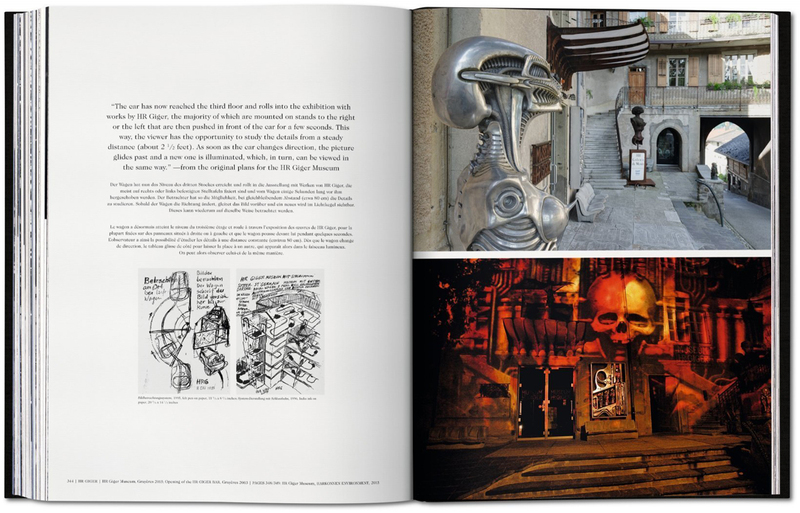 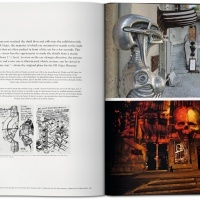 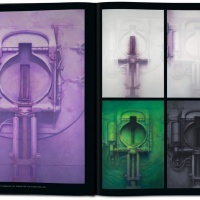 According to Taschen, work on the Giger book started shortly before the artist’s death in 2014 (read our obituary here) and finally brings together his life’s work in art, sculpture, graphic design and film, not to mention his various architectural projects which included his own museum and bar in the Alps. 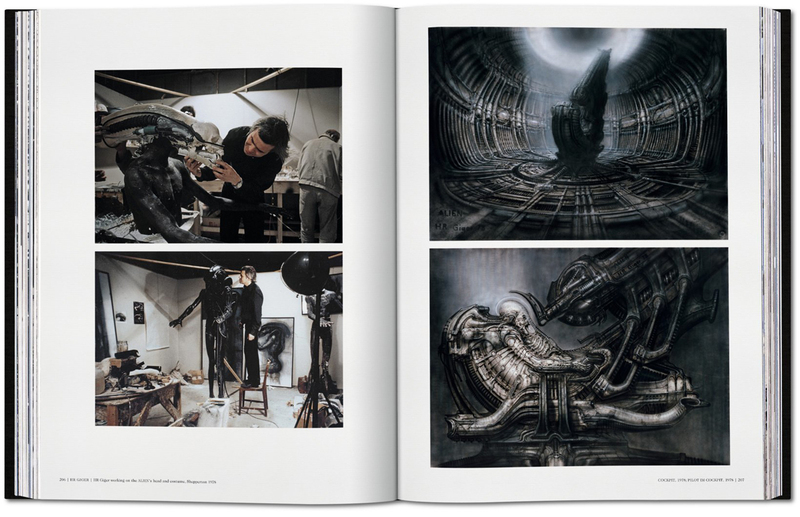 Giger’s interest in the field of biomechanics was evident throughout his art (we looked at his music videos in our 2014 post, for example), but it was his work for Ridley Scott’s film Alien that brought him worldwide attention – and an Oscar. 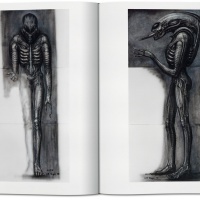 His painting Necronom IV (1976) convinced Scott that he was the man to shape the design of the eponymous creature and bring one of science-fiction’s most recognisable characters to life.